Magdalena Madero, MD, is the Chief of Nephrology at the National Heart Institute in Mexico City. She was trained in Internal Medicine at St Elisabeth’s Medical Center in Boston, MA, and then underwent her nephrology training at Tufts Medical Center also in Boston, MA. 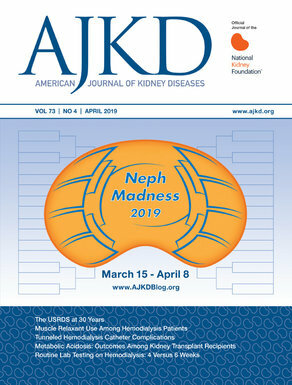 She went back to Mexico City in 2007 where she joined the nephrology staff at the National Heart Institute and became the Head of the Nephrology Division in 2011. Dr. Madero's research interests include CKD complications and outcomes in addition to the metabolic and renal effects of fructose and uric acid. 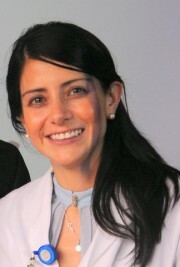 As part of her educational activities she runs one of the largest renal fellowship programs in the country at the National Heart Institute (affiliated to the main National Mexican University [UNAM]) in addition to teaching the nephrology course at the undergraduate Panamerican University medical school. She enjoys patient care and is active in taking care of CKD patients. She is currently part of the 3 member Board of Directors for the Mexican Institute of Renal Research (IMIN) that serves as a society to promote academic activities including research and teaching for the Mexican nephrologists.